Recent fossil and genetic evidence has confirmed that all modern day dogs are the descendants of wolves. Ancient clues from cave paintings and burial sites reveal that dogs and people have lived together for thousands of years. Over this time humans have transformed, through selective breeding, the wild canids into the first domesticated animal; the tamable, the trainable, the incredibly diverse dog. No other single species in the animal kingdom has their variety of shapes and sizes and their abilities as hunters, herders, guards, and companions have made them truly our ‘best friends’. 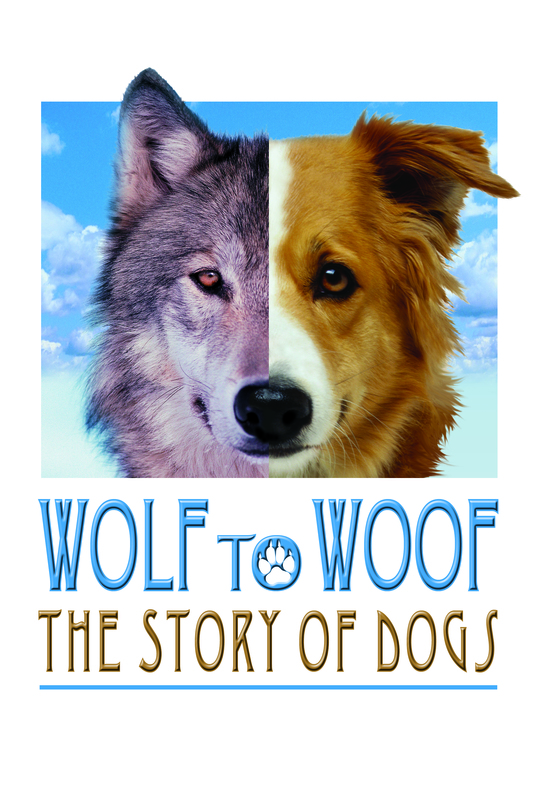 Wolf to Woof: The Story of Dogs is the largest and most comprehensive traveling exhibition ever created on the history, biology and evolution of Dogs. The exhibit sniffs out the facts on the unique role of dogs in human societies and what makes the human/dog relationship so unique. It uses the familiarity and love of these four-legged friends to explore science and biological concepts. The Exhibit has four themed sections including multi-media displays, artifacts, photo murals, and dioramas of taxidermied wild canines and sculpted modern dog breeds. Additionally interactive, hands-on components demonstrate key exhibit concepts. For example, visitors can enter a “howling area” and guess what dogs are saying, test their nose against a dog’s great sense of smell, and climb into an avalanche scene to see what it’s like to be saved by a search-and-rescue dog. The domestic dog comes in a mind-boggling array of shape and sizes from the pocket-sized Chihuahua to a 200-pound Saint Bernard. From the earliest wolf-like-canines that lived thousands of years ago, humans have bred dogs for work and whimsy, creating the hundreds of domestic breeds known today. This section showcases the amazing versatility of dogs and how their appearance has changed through time-both naturally and through the help of humans. This section also addresses the geographical origins and history of select domestic dog breeds, many species of wild canines, as well as extinct canine relatives. Many dogs’ behaviors have roots in the social world of wolves. This section explores why dogs and wolves do the things they do, and how and when they behave in similar or different ways. In domesticated dogs, and in selective breeding, people have chosen certain wolf characteristics and eliminated others. Dog breeders select for physical traits like size and hunting ability, and also for personality traits that make a dog trainable, friendly, communicative, and loyal. Canines-wolves, foxes, coyotes, jackals, and dogs-star in myth and folklore almost everywhere in the world. This section also explores why people find the behavior of dogs and their kin so intriguing-whether that behavior eaves them feeling awed, frightened or just plain amused. Dogs and people have worked together for centuries. From their incredible sense of smell to their stamina for long distance running, the amazing skills of dogs have made the lives of humans a lot easier. Dogs have served as hunters, herders, guards and warriors. Depending on the job requirements, early breeders bred dogs for speed, stamina, aggression, strength or size. Dogs were also breed for looks and style. Today most dogs are pets and companions and some have become assistants for people with disabilities. These relationships are depicted in this section, along with a final display of images of people and their dogs. There is also a space available for visitors to leave behind pictures of themselves with their own canine friends. Section 4: What can we do to help dogs? For thousands of years dogs have lived alongside people, helping with the tasks of everyday life. Over time, the breeding of domestic dogs has resulted in animals whose size, temperament, and loyalty make them far better suited as human companions than as members of the pack. The fate of many wild canines also depends on humans. Through pollution, hunting, and habitat destruction humans have altered the environment in ways that put wild canines in jeopardy. If those canine species are to survive, they need help to undo-or at least halt-the damage. This section explores what problems our modern world poses for dogs and what scientists, volunteers and everyday people are doing to solve these problems. It shows how coyotes have managed to survive and adapt despite human encroachment into their habitat, and how the two can successfully coexist. Visitors also learn about responsible pet ownership, wolf reintroduction into Yellowstone National Park, the fight to save the endangered Ethiopian wolf, and current veterinarian science.